We Ship Coffee! 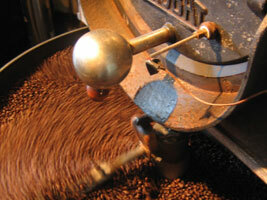 Get fresh roasted beans from the ORIGINAL Dunn Brothers on Grand Avenue in Saint Paul, MN. Our talented and experienced roasters roast daily and ship orders Monday through Friday. Call before noon for same day shipping. Your order will be roasted the same day it's shipped! We also sell wholesale to your business. We rotate 15 varieties from Central and South America, Africa and Indonesia including: French Roast Colombia, Guatemala, Kenya, and Sumatra. Call 651.698.0618 or toll free at 1.800.536.7283 to place an order.